STC (Standard Test Condtions) and PTC (PVUSA Test Conditions) are two methods of testing module performance. For instance, a Candaian Solar CS6P-250P has an STC rating (nameplate value) of 250W and a PTC rating of 227.6W. The difference in the ratings is largely attributed to the effect of temperature change on module output. STC uses a steady temperature of 25° Celsius, whereas PTC uses a temperature of 20° Celsius combined with a calculation to measure module performance. The PTC formula was developed by a California-based solar research and development partnership between the US Department of Energy and several major utilities. This group was established in 1986 and was known as Photovoltaics for Utility Scale Applications (PVUSA). 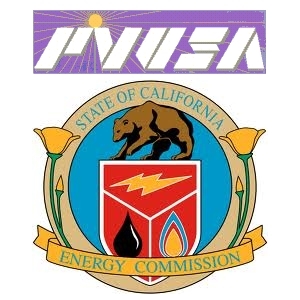 They merged with the California Energy Commission in 1997 and ultimately dissolved in 2000. Although PVUSA no longer exists, their method of rating module performance was found to be more accurate than the STC rating system and is still in use today. Because STC fails to measure the effect of temperature change on the cells, an overly optimistic electricity output results. The PTC system collects data on a module’s power output for a designated period of time under conditions of 1,000 Watts per square meter solar irradiance, 20° Celsius air temperature, and a wind speed of one meter per second at 10 meters above ground level. The cell temperature is combined with the temperature coefficient of power to measure the voltage change in the cell relative to the temperature change. The outcome of this test generates the PTC rating and thereby a more accurate "real-world" performance result. Project designers and solar module purchasers should use the difference between STC and PTC to determine which modules will deliver the maximum amount of energy and fastest return on investment. When comparing modules of equal STC ratings and different PTC ratings, the panel with the higher PTC value will produce more on-site solar energy per-watt installed and a more accurate expected power output.